I have been baking up a storm. My kitchen usually looks like a tornado with both of my kitchenaids being used. It’s all worth it because I think that I have found my FAVORITE cookie to date! If you are a lover of Twix, then these cute little cookies were made just for you! 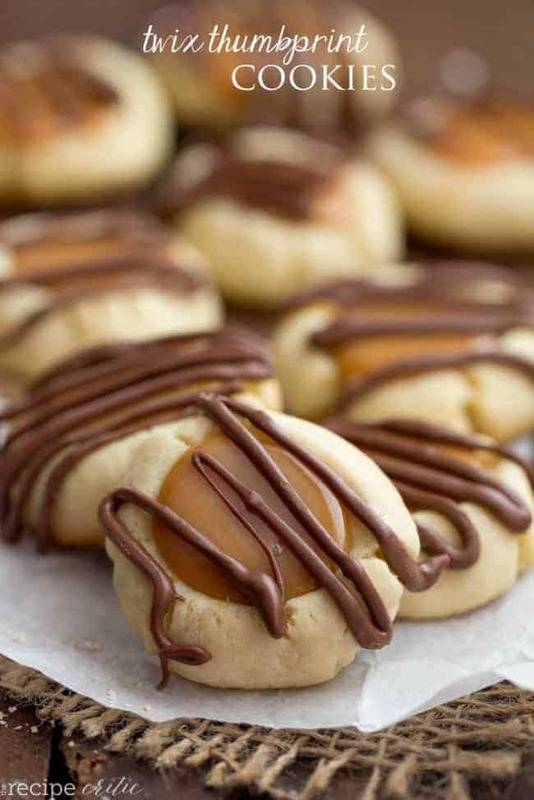 These cookies started as a salted caramel thumbprint. But when I had my first bite, they reminded me so much of a Twix Bar! 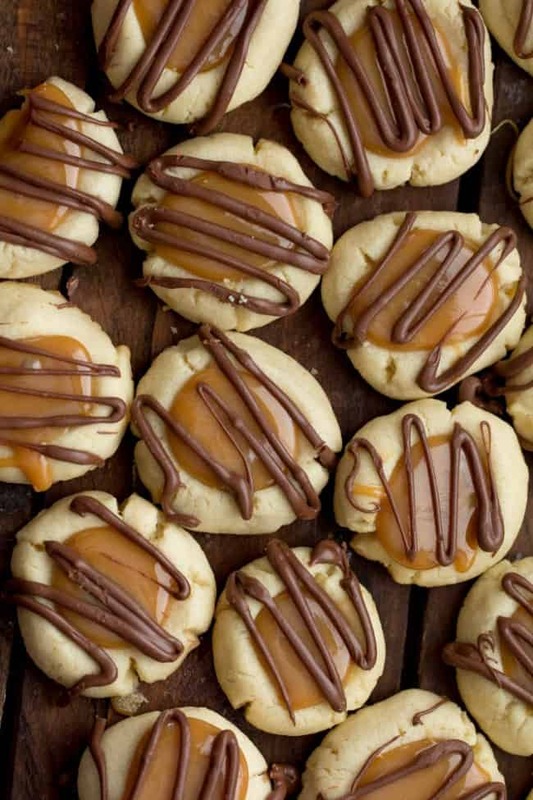 The buttery shortbread base and a chewy caramel center. They were just missing one thing. Chocolate. I drizzled that chocolate on as fast as I could and viola! 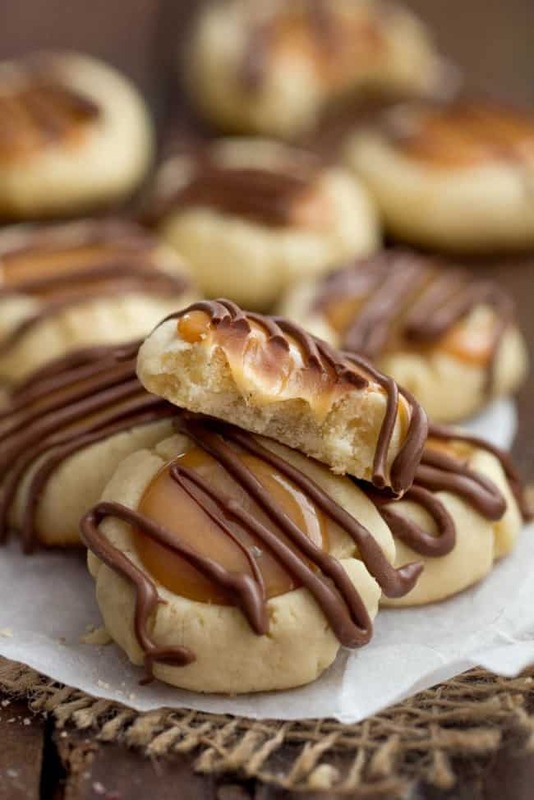 A Twix Thumbprint Cookie. HOLY cow. I was eating all of the goodness of a Twix in each and every one of these cookies. And I am not going to admit the number of cookies consumed that day. But I had to get them out of the door and delivered to my neighbors as fast as I could! All of the delicious layers of a Twix bar are represented in these cookies and you are going to love them! The shortbread layer, to the caramel layer, and ending with the chocolate drizzle. There is no way that you can’t love these! I’ve made these as the recipe calls for before and loved them so much, but now I’m no longer able to tolerate dairy. Would using coconut or almond milk as a dairy free substitution work in the caramel filling?